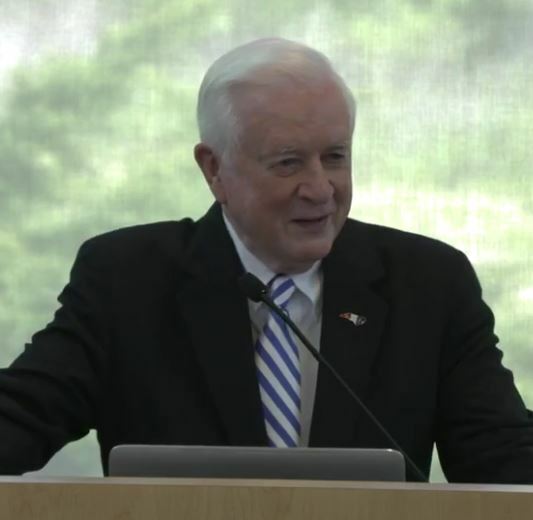 Governor Hunt parlayed his lessons from growing up on a farm in rural, eastern North Carolina to speak to the importance of establishing access today to modern Internet infrastructure for everyone in the state. He talked about how North Carolina residents stepped in and organized to preserve the things they knew they needed to survive, and to ensure “a good life” for their communities. He talked about how the farmers organized when they worried that the lifeblood of their livelihood—their soil—was blowing away, and how they relied on themselves to improve their community. He spoke of the peaks in technology changes imprinted in his memories, such as the day his grandmother first obtained electricity and the election of state officials who changed dirt roads to paved roads. Throughout his message, Hunt noted the importance of public-private partnerships and bipartisan support. “We all came together and talked about this new technology; What it was and how it worked and we talked about how we could have it. Well, we developed a public private partnership; and it took alot of educating. It took alot of thinking, it took alot of educating people, and deciding to do things. And figuring out how to do them. Which is what you are working on now. We got our first appropriation of $4 million, and Governor Cooper of Nashville and Representative Charles Preston from Catawba County led that for us, always approaching this in a bi-partisan kind of way. And we got that approved and started got it moving forward in the General Assembly. “… let’s don’t be satisfied with low expectations and leaving people out and not becoming what we can be. I am proud of you all. Everyone of you is here for a purpose. You’ve got a job to do in this. You sense what’s possible. I can tell it in your faces… So I commend you. I am proud of you. Let’s make North Carolina all that it can be. All that it should be. Governor Hunt Speaks Part 2 at :54. 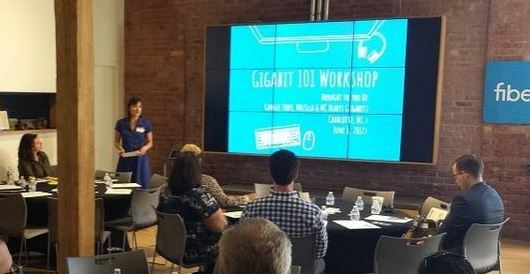 There was a buzz at the Broadband Communities’ recent Atlanta conference earlier this month, and part of that circled around a new grassroots group whose founders were present and speaking about their new educational project, NC Hearts Gigabit. Formed as a project of CLIC-NC, the North Carolina chapter of CLIC, NC Hearts Gigabit will serve as a story-telling platform about North Carolina’s need for everyone in the state, from rural and urban communities, to have access to 21st century, high capacity broadband. And yet the project goes beyond that. It seeks to uncover how North Carolina communities are rebuilding their local economies by utilizing this critical infrastructure so they can stay competitive in the global economy; how they are growing inclusive small businesses and re-skilling their workforce. The ultimate objective of the group is to reinvigorate North Carolina’s long history as a technology leader and re-establish its vanguard role in this space. Enjoy this podcast interview by Chris Mitchell, the Director of the Community Broadband Networks Initiative with the Institute for Local Self-Reliance, of three of the project’s founders: Christa Wagner Vinson, Deborah Watts and Alan Fitzpatrick while they were all in Atlanta. For more about NC Hearts Gigabit CLIC-NC here. 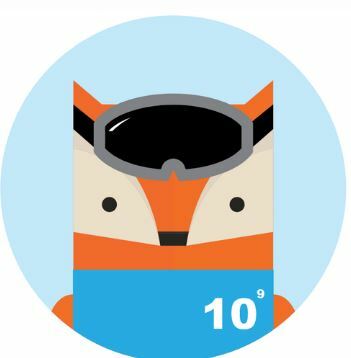 Mozilla, probably best known for its adorable vulpine mascot from the Firefox web browser, came to Charlotte last month to talk about the virtues of high-speed gigabit Internet connectivity and what can be done with it. Mozilla’s foundation has recently been connecting tech enthusiasts, digital literacy advocates, and other leaders through its Hive Learning Networks and gigabit city-based programs in Chattanooga, Tenn.; Austin, Texas; Lafayette, La. ; Eugene, Ore. and Kansas City, Mo. The Hive’s neighborly outreach, plus the recent arrival of gigabit broadband Internet service to Charlotte, is what brought Mozilla our way. Google Fiber Charlotte and NC Hearts Gigabit, (a project of CLIC-NC and an outgrowth of Charlotte Hearts Gigabit) , were pleased to host a small gathering for the half-day workshop. Mozilla’s facilitators helped the group visualize the possibilities of a world at Gigabit speed. They asked the group to rate their awareness of various gigabit-related topics like 4K video and the Internet of Things. They dazzled by showcasing gigabit-enabled success stories from Chattanooga and Kansas City, where next-generation applications being built there are making possible everything from scientific research to artistic collaboration. The conversation then turned pragmatic: sorting out what is working in the Charlotte region when it comes to using technology to meet community needs – and what isn’t. The event participants, ranging from digital inclusion and workforce developments advocates to smart city wonks and civic techies, each had a stake in the conversation. Yet the workshop also offered a welcome opportunity to challenge pre-conceived expectations. Namely, that while the digital revolution has long promised straightforwardly positive advancements in economic development– new jobs created from technological innovation, the decentralization of work to anywhere with an Internet connection – the reality is, it’s been a bit more complicated in the execution. The upshot, fortunately, is that there are ways to get there – at least when Mozilla is your tour guide. As Charlotte powers forward with its own gigabit networks, we hope the region will continue to work hard to find solutions for the complexities the Internet Age throws at us. This will mean helping people get jobs wherever they are, and with the skills they already have, using digital platforms; innovating the new financial products that can support broadband expansion, as well as mobile financial services that meet the needs of underserved groups; helping small business deploy technology strategies that make them more productive and competitive; and helping our region win the race for the jobs produced by Industry 4.0 so that we’re talking about up-skilling rather than job killing. In the end, for community and economic developers and those we serve, the real opportunity is discovering what we actually want out of technology — after all, it is merely a tool — and how to get it. From application development to community development, and everything in between, we have a lot of work to do. Who knows, we got the Hornets back, maybe we can be a Mozilla Hive City one day, too. Background: A tiny, rural town in North Carolina has gigabit internet from a community-owned fiber provider, Wilson Greenlight, and the big cable and telephone companies want it disconnected. Today a local newspaper printed an editorial from an industry front group (just like the one these monopolies used in 2010 and 2011). Titled “City-Owned Broadband Squeezes Taxpayers” the “American Taxpayers Alliance” in essence suggested that NC legislators should disconnect gigabit internet service in rural Pinetops because “municipal broadband poses a significant threat to taxpayers.” The real story of what is happening in Pinetops is found in a local letter to the editor from a Pinetops Town Commissioner, reprinted below . While it is not true that Greenlight uses taxpayer money to run their network, it is true that Centurylink is getting more than $40 million in public funds through the federal Connect America Fund with which they are building old internet technology (10Mbps/1Mbps) to their NC rural customers. Having no internet choice and access to only old internet for your community — that sounds like the death knell for local rural economic growth — and the real “significant threat” to taxpayers. Every one of the 600 homes in rural Pinetops – in economically struggling Edgecombe County – has access to symmetrical, fiber-to-the-home, gigabit internet service. Not even Raleigh has that. So why are state legislators trying to disconnect us and take away the biggest economic and education advantage we have had in decades? Why are they siding with big telecom corporations rather than their rural constituents whose livelihoods are being crippled by antiquated internet service? In 2011, the telecom industry pushed the NC Legislature to pass a law limiting the City of Wilson’s internet service area to Wilson County, even though Wilson is a long-time utility provider to Pinetops and other small towns in neighboring counties. The Federal Communication Commission ruled in 2015 to preempt this law, which allowed Pinetops to invite Wilson to bring its fiber internet service (“Greenlight”) to the town in March 2016. In May, the State challenged the FCC decision and won, which will force Greenlight to disconnect Pinetops. Rep. Susan Martin (R-Wilson), Rep. Shelley Willingham (D-Edgecombe), and Rep. Jean Farmer-Butterfield (D- Wilson), Sen. Erica Smith-Ingram (D-Martin) and Sen. Deanna Ballard (R-Watauga) introduced legislation to keep Pinetops connected, but the bills appear to be stalling because of intense lobbying by the big telecoms. Rep. Jeff Collins (R-Nash) has even introduced a bill that would force Greenlight out of Pinetops by a specific date. We hear that the big telecoms are telling legislators that they are “upgrading” our little town with modern, even fiber based internet. Our residents (their customers) tell a different story. Their “high speed” internet (sometimes 10Mbps/1Mpbs) buffers and crashes regularly and customer service is a joke. Our overworked regional technician serves from Fayetteville to north of Greenville. 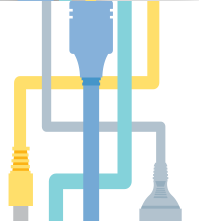 Greenlight by comparison provides us fiber-to-the-home symmetrical gigabit internet if we want it. Their customer service is hyper-responsive and was even in town the day after Hurricane Matthew, hooking up and servicing lines for emergency responders. The other providers were nowhere to be seen in hard-hit Pinetops. Access to modern internet is vital our town’s future. Legislators need to give us the freedom to choose internet partners we can depend on to improve our economy, educational opportunities and quality of life. Pinetops should be able to keep Greenlight and legislators should be encouraging, not disconnecting, modern internet access for our rural communities. Listen to this great interview by the Institute for Local Self Reliance of one of Pinetops’ Town Commissioners, Suzanne Coker-Craig, who is forced to watch her rural Gigabit town be disconnected from Wilson Greenlight internet service because of North Carolina’s anti-competitive state law (commonly known as H129). Her audio interview is found here. Like her Facebook page: “NC Small Towns Need Internet Access”. 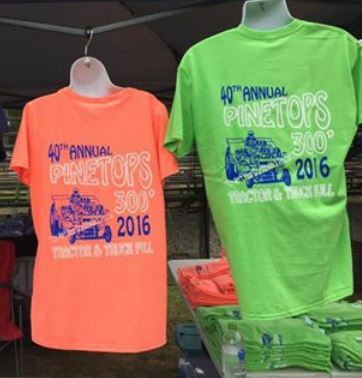 CuriosiTees is a screen printing and custom t-shirt store in a tiny rural town called Pinetops, NC (population ~1300). But it’s more than that. It’s a testament to the economic impact of finally getting access to fiber to the home speeds and internet choice in North Carolina’s rural homelands. It’s evidence that community-run fiber networks can bring modern infrastructure and economic hope. Suzanne Coker Craig owns CuriosiTees. She is practically giggly when talking about her super fast internet connection from Greenlight, a community-owned fiber network owned by neighboring Wilson. Wilson extended Gigabit internet service to Pinetops four months ago after the FCC preempted a 2011 North Carolina state law (H129) that had effectively prohibited Wilson from providing internet service where it already provided electricity outside of Wilson County. The alleged reason for the law was to “level the playing field,” but in reality it has left large portions of the state, including its rural areas, with a single service provider. In that monopoly environment, there were no incentives to modernize service, especially in rural areas. Suzanne used to be a subscriber to Centurylink DSL service at her Pinetops home, but years ago she just turned it off . “We weren’t using it because it used to take forever; it just wasn’t viable.” She now has Greenlight’s 40 Mbps upstream and downstream service. “It’s just so very fast,” she said. But as a Town Commissioner, Suzanne also recognizes the long term economic benefits this infrastructure will have for her community. She sees its merit for retaining and attracting the young people in the community, and drawing in residents and businesses from just over the town limits, where Greenlight has not provided service. “My 21 year old nephew is a recent college graduate who is very tech savvy. I mentioned to him that we had Greenlight [Gigabit] service in Pinetops. His eyes popped open. He was really impressed. I think this service will help us engage with young people who are shocked that a little town like ours would have Gigabit internet.” Suzanne also described how residents who live just over the town’s municipal line “are jealous. They keep asking me how can I get that service here?” They are frustrated they live only a few minutes away. The implications for Pinetops real estate values are obvious. “I just see a brighter future for our town now,” she reflected. “ It’s a neat selling point. It’s difficult in small rural areas to get good technology-based companies. This now opens the door for us to recruit just those kinds of businesses…. 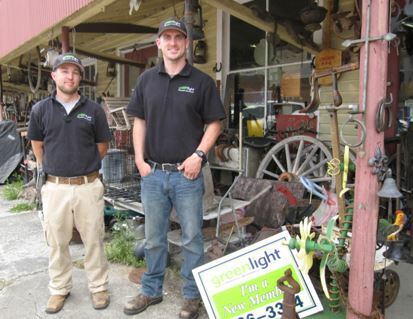 It’s hard to imagine a business that does not need internet access” and now tiny rural Pinetops has a Gigabit of it, thanks to Wilson Greenlight. Update: On August 10, 2016, the Sixth Circuit ruled against the FCC’s preemption of North Carolina’s broadband law based on a narrow states authority issue, noting “Our holding today is a limited one. We do not question the public benefits that the FCC identifies in permitting municipalities to expand Gigabit Internet coverage.” We wait on whether this means Greenlight will have to turn off its Gigabit service to tiny, rural Pinetops. Many people would think that a blog about a small rural town becoming a Gigabit city would be about the miracles of speed. But the real story is much deeper. It is about what it feels like to finally have internet choice, to have reliable internet service in an information dependent economy, to be treated with respect by customer service agents, and to finally feel hope – actual excitement — about the future economic opportunities for your rural town. You can see this through the experiences of Brent Wooten. 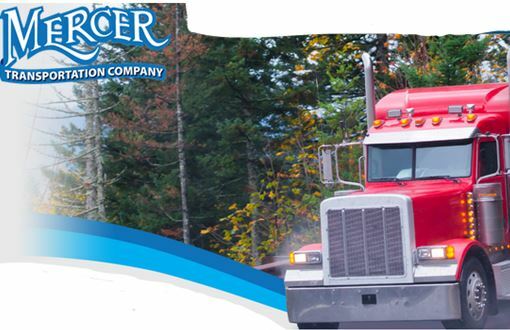 Brent is a sales agent and Manager for Mercer Transportation, a freight management business with an office in tiny, rural Pinetops, North Carolina. Pinetops is now served by Wilson’s community-owned, Gigabit fiber network. Brent deals with trucks. He moves freight around the country. He deals with time — being on time. But he’s actually an information worker in a knowledge economy. “I am in the transportation business,” said Brent. “Having reliable phone and internet are critical to running my businesses.” Being off line doesn’t just mean losing business for Brent. Being offline means losing businesses and never getting it back. At home, Greenlight brought Brent telephone and internet choice for the first time in more than a decade. “Greenlight saves me $140 a month at home,” he bragged. When Greenlight’s marketing director first arrived at Brent’s house, he learned Brent was being charged twice for his internet service. Brent had an in-law suite attached to his house where his mother used to live. “The Centurylink representative on the phone said I needed to have a second DSL account.” Not with Greenlight. “We just love it!” That was the response of Pinetops Acting Town Manager, Brenda Harrell, when asked what it is like for her rural residents to now have access to Gigabit internet speeds. In April, Wilson, North Carolina’s community-owned fiber network reached out, passed every home and turned on its fiber to the home service in neighboring rural Pinetops. Pinetops is located about a 20 minute drive due east from Greenlight’s operations center, but more importantly, it is in another county entirely. Back in February 2015, the FCC preempted a North Carolina state law, known as H129, that prohibited Wilson from serving any residents outside of Wilson County. That preemption was the green light Wilson needed to reach out to its rural neighbors and complete a project that was stopped when H129 became law. Wilson serves six neighboring counties with its municipal electric services, including Pinetops which is located in Edgecombe County. Turning on internet service in Pinetops was an easy reach for Wilson, where fiber was being deployed as part of an automated meter infrastructure project. And for Pinetops, bringing fiber services to its residents and small businesses was like snapping it into the 21st century from the late 1980s. 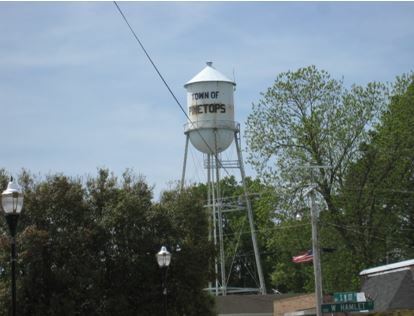 Pinetops is a community with about 600 homes all located within one square mile. It is by all signs rural, surrounded by huge open fields of sweet potatoes, tobacco and soy plants. The average median income is $26,333. The census bureau characterizes the community as having 30% of its residents below the poverty line. According to local officials, prior to Greenlight, the community was desperately underserved. Their choices were unreliable DSL service or dialup. 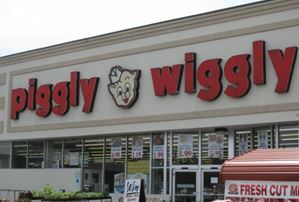 Thanks to Wilson, now Piggly Wiggly even has Greenlight’s fiber speeds. The community is excited for its future. After watching a video of how quickly video homework can be uploaded on a Gigabit connection (8 seconds) versus DSL (2 hours and 59 minutes), the new Town Manager, Lorenzo Carmon, was full of ideas. Pinetops, with median homes valued around $78,000 and the option of Gigabit speeds, could offer low cost affordable housing to attract professionals now living in Greenville, a nearby university community full of doctors, students, digital artists and knowledge workers. 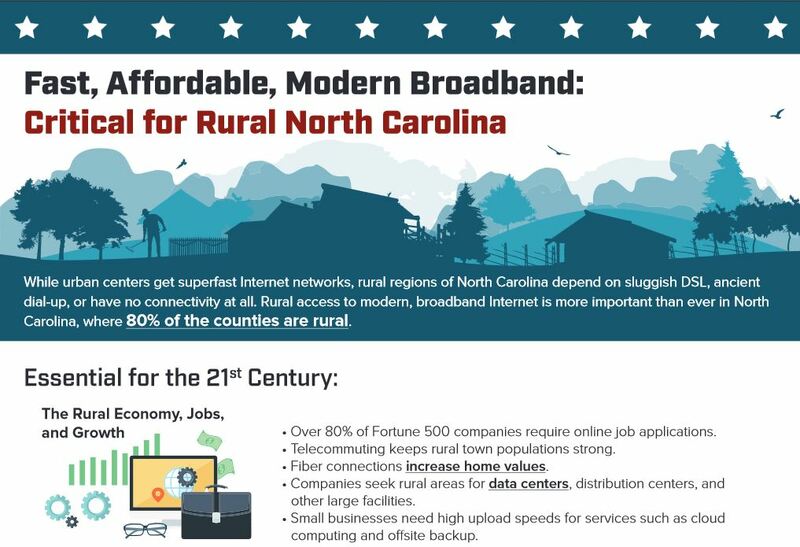 Access to modern broadband is essential for rural economic growth and jobs, for accessing school and college courses no matter where you live, for health care and home values. Click on the image, download our pdf and share the news.